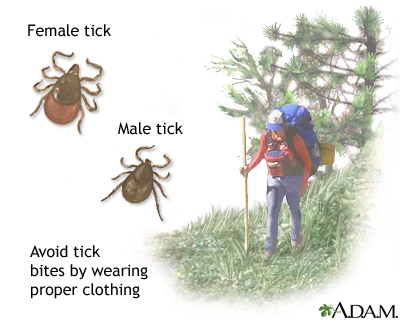 Ehrlichiosis is a disease transmitted by a tick infected with Ehrlichia organisms. Symptoms include fever, headache and nausea. The disease is treated with antibiotics and recovery is expected.